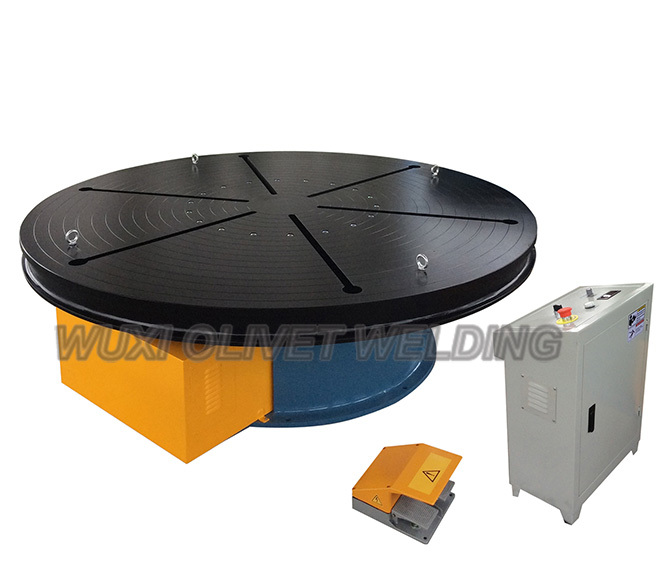 (1) The Welding Rotary Machine adopts stepless speed regulation of frequency converter, wide speed regulation range, high precision and large starting torque. (2) Specially designed grooved steel core rubber surface roller with large friction, long service life and strong carrying capacity. (3) What are the characteristics of welding equipment welding wheel frame welding positioner? The combination box type base has large rigidity and strong bearing capacity. (4) The manufacturing process is advanced, the straightness and parallelism of each shaft hole are good, and the workpiece turbulence caused by insufficient manufacturing precision is minimized. (5) The Auto Welding Positioner automatically adjusts the angle of the roller bracket according to the diameter of the workpiece to meet the support and rotational drive of workpieces of different diameters. Previous: What Are The Components of The Plasma Welder? Next: What Should Be Paid Attention to In the Use and Maintenance of The Welding Roller Rack?